Napoli ended Inter Milan’s wonderful winning run in the Italian Cup thanks to two goals from Edinson Cavani, the result automatically puts the Partenopei advancing into the semi final where they’ll meet Siena. The match also marked the return of the Southern Italian club’s Argentinian forward, Ezequiel Lavezzi, who has been out for quite sometime due to thigh injury, however he still hasn’t found his touches as just yet on the night. 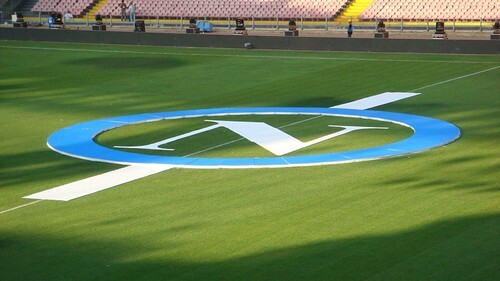 Napoli’s match up against Inter in the Cup is something that Mazzarri and his boys waited as they’re looking to take revenge on last season’s failure in the same competition against the Nerazzurri. The home team took the initiative immediately from the kick off and created several openings, notably from Cavani and also Marek Hamsik. Some controversies already arrived in the first period when Wesley Sneijder escaped a straight red card after committing a horribly dangerous tackle on Walter Gargano, which could really sent the Uruguayan into medical room. However, the match continues without anyone getting red carded as both teams created goal scoring chances with the Partenopei being a little bit ahead maximizing their home turf advatage. Despite being more dominant in the attack, It took around 50 minutes for Napoli to take the lead and it was Cavani who crafted the opening from the spot kick after Thiago Motta tripping the Uruguayan striker in the penalty area. The Nerazzurri tried their best to get back into the game but the Partenopei hold on well until the final minutes and even managed to seal the victory deep in extra time from Cavani’s double in the match. Meanwhile, in the other match, 10 men Siena stunned Chievo with a goal from substitute player, Mattia Destro, who scored from point blank after receiving a flick from midfielder Alessandro Gazzi. The result puts Giuseppe Sannino’s side into the semifinal, which is a rare occasion for them and it would be interesting in seeing whether they will go for broke considering they will be facing Napoli in the next round.